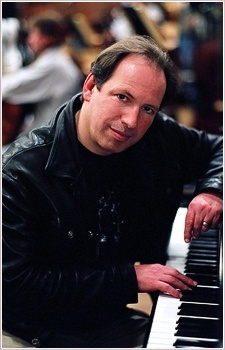 Hans Florian Zimmer is a German film score composer and music producer. He has composed music for over 100 films, including Hollywood blockbusters such as the Pirates of the Caribbean series, Gladiator, The Lion King, The Da Vinci Code and The Dark Knight. THIS IS GOD, Inception, Interstellar, Gladiator, Prestige, Dunkirk, many many more, he's just unstoppable. I was curious about this credit, and it turns out he didn't compose the score for Blood+, but produced it. Still pretty cool that they managed to get him on board the project. Man, I was surprised when I saw his name come up in the Blood+ credits. Usually see him composing for AAA big budget Hollywood movies. He's a big guy....for a sacrifice.